Salt reduction is one of the top 10 healthy trends in foods. The World Health Organization (WHO) Member states have agreed to reduce by 30% the global salt intake, by 2025. Processed foods being an important source of salt, food manufacturers continue to be strongly encouraged to reformulate low-sodium products. Reducing salt without compromising the taste is a challenge. 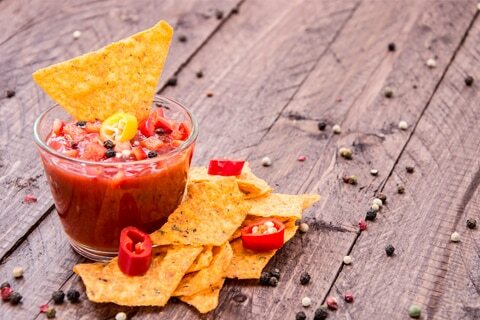 Biospringer, expert in taste, offers you Yeast extracts ranges with many taste properties to support the development of salt-reduced and flavorful food and beverage. Springer® 2000 range, for instance, naturally rich in nucleotides, provides an intense Umami taste and a long-lasting effect, intensifying other tastes and flavors. Biospringer supports you with its culinary expertise: the culinary centers, expert in product formulation and yeast extracts, will help you reduce salt up to 30%, in a great diversity of foods and beverages: in soups & broth, sauces & dressings, snacks & seasonings and more. You want to know more about our expertise on salt reduction?